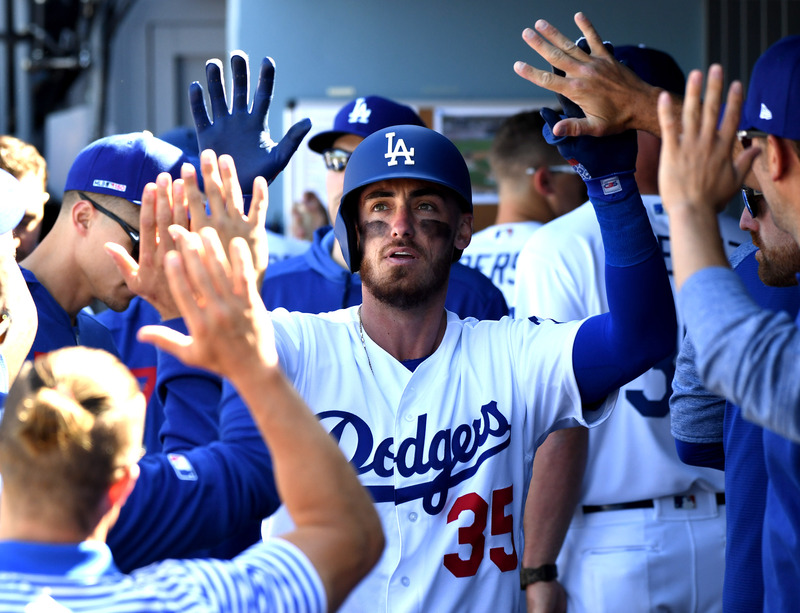 Cody Bellinger has been named the National League Player of the Week, an announcement that should shock no one who has been watching baseball in the first couple weeks. Only confirming what we already knew. Bellinger’s start has been somewhat historic. Not just in terms of Dodgers’ franchise history, but baseball history. According to ELIAS, he’s only the second player in the history of the game to have 7 home runs and 18 runs batted in his team’s first 10 games since 1920. The other was Willie Mays in 1964. This is the third time that Bellinger has won this award in particular, with the other two coming in 2017 during his rookie season. Of course, he will need to continue his torrid start if he’s going to take home some notable hardware that changes a career like an MVP award. However, you have to crawl before you sprint. Top bookmaker predictions have Bellinger around 25/1 odds to win the NL MVP in 2019, and that number should shrink soon. You will struggle to find a number that doesn’t look like Bellinger having a cheat code. To go along with the homers and RBI totals, he’s hit in all 10 Dodger games. He leads baseball with 20 knocks, his batting average is .455 and his OPS is 1.512 – these are not typos. The Dodgers are off to an 8-2 start with Bellinger hitting in the middle of their order. They have also homered in all 10 games. Probably the biggest swing of Bellinger’s season was a grand slam off Madisom Bumgarner at Dodger Stadium last week, but we are at a point where he’s had so many big swings already, they’re beginning to blend together. Remember, Bellinger burst on the scene in 2017 to win the NL Rookie of the Year Award. He set an NL record that year with 39 homers as a rookie. His OPS that season was .933, so he’s shown capability to dominate a league; albeit not to this degree. Then in 2018, Bellinger was solid but fell victim to sophomore slumps. His power decreased to 25 home runs and his OPS was just .814, solid but unspectacular. The sky is the limit with this version of Bellinger – who is displaying the ability to do everything that can be done on a baseball field.